Guillaume Alinier, Professor of Simulation in Healthcare Education from the School of Health and Social Work, continues to be in great demand to share his knowledge in healthcare simulation. 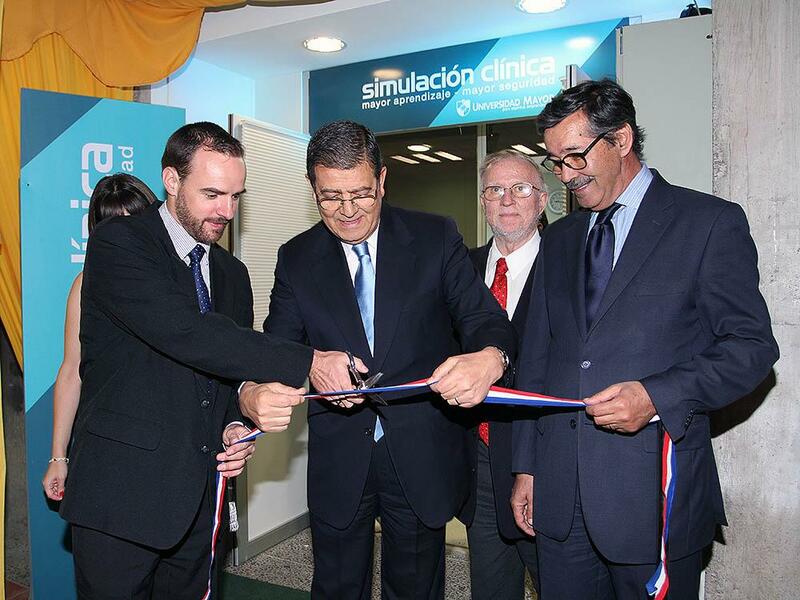 He was the international guest of honour at the official opening of a new clinical simulation centre at University Mayor in Santiago, Chile, which is equipped with all the latest technology. Guillaume gave a plenary lecture at the opening event on his experiences in designing and implementing different simulation projects around the world. During his visit to Chile, Guillaume gave another lecture at Mayor University’s Temuco campus, some 500 miles south of Santiago. This event was combined with an award ceremony for a nursing technician in recognition of her contribution to advancing patient safety through the use of clinical simulation. Guillaume played a significant role in designing and running the University's large multi-professional Clinical Simulation Centre. 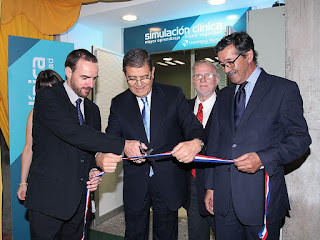 Over the years, he has held national and international roles in the simulation community – during this year alone, he has co-chaired the largest simulation event of the year in San Diego in the US, provided masterclasses and keynote lectures at international conferences held in Mexico, Turkey, and the UK.